Back to the analogy board, Carson PR team. 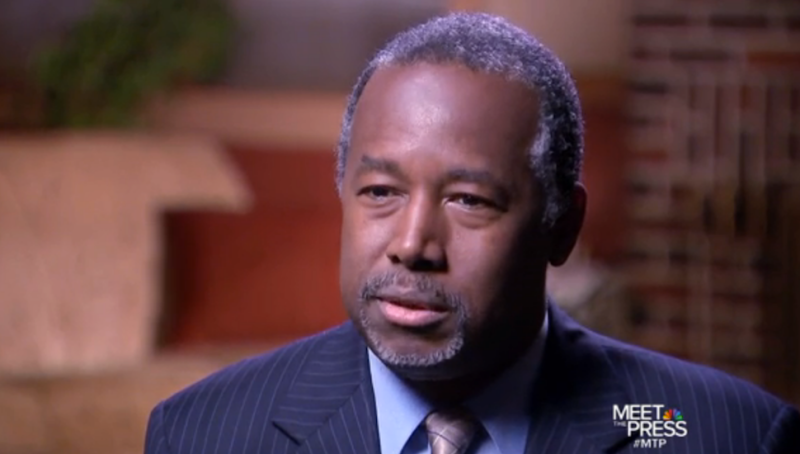 Dr. Ben Carson is unquestionably one of the brightest men on the planet. Don’t believe me? You try separating conjoined twins at the brain without a road map and tell me how you do. That said, it’s amazing how a genius can sound like a buffoon when he swims outside his lane. As you know, Carson is running for president and hasn’t been known for nailing the sundry talking point. During an interview with NBC’s Meet the Press yesterday, we discovered why. Because when you run out of things to say about slavery, abortion is always a good comparison point. Wait, what?! Can someone rewind that please? PRNewserverse, quick question: What’s the worst message point? We’ll leave the comments open.